Everyone seems to be on edge as to what Wikileaks’ Julian Assange will do next. His group released various emails from staffers at the Democratic National Committee on the eve of the party’s national convention in Philadelphia in July. It caused major friction between the supporters of Hillary Clinton and Sen. Bernie Sanders (I-VT). In fact, the explicit divisions within the party dominated the first day of the convention. It also led to the resignations of most of the executive leadership at the DNC. 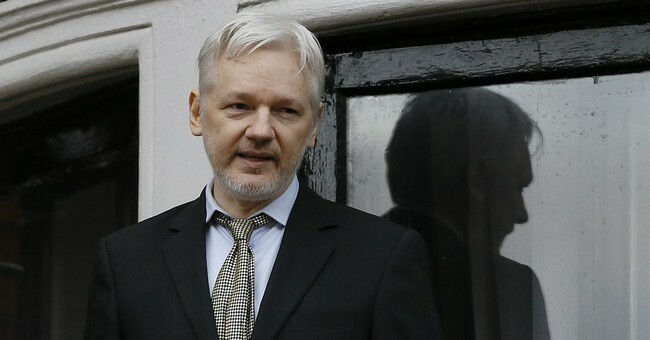 Assange has also been cryptic concerning the death of DNC staffer Seth Rich, who some have posited was the source for the email leak. Rich was shot and killed in the early morning hours on July 10. While it may look like a robbery, his watch, wallet, and cell phone were still on his person when his body was found. He’s also said that more information on Clinton will be coming out soon. Prior to that, he said that he’s somewhat taken aback that the liberal media in the United States would defend this woman (he also called her a demon) since she’s going to “put nooses around everyone’s necks” once she’s elected. "Everyone in positions of government and at WikiLeaks knows it stands for 'classified confidential,’ ” he added. “We have already released thousands of cables by Hillary Clinton ... thousands of examples where she herself has used the C in brackets and signed it off, and more than 22,000 times that she has received cables from others with this C in brackets." Assange then took out a printed copy of an email and pointed to Clinton's signature on the bottom and then the classified mark at the top. So, is this yet another instance where Hillary told a lie about her email server? Sadly, it wouldn’t be shocking nor is it the first time she’s been caught being liberal with the truth on this matter. At the same time, is Assange just trying to stay in the spotlight, as some conservatives have said, namely Marc Thiessen? Actually, Thiessen went a step further, calling Assange a criminal. His group did release hundreds of thousands of sensitive documents on the Iraq and Afghanistan wars, which led to the arrest of Chelsea Manning. Whether this is done for publicity is a debate for another time. For now, we’re all waiting to see when this latest document dump on Clinton drops.